ISR welcomes Professor Adam Porter (Computer Science) as an affiliate faculty member. His research focuses on a qualitative understanding of the dynamics of large-scale software development, with a goal of identifying the fundamental mechanisms driving the costs and benefits of different software tools and methods. Porter's approach relies heavily on empirical studies, ranging from small controlled experiments, to experimentation with large scale artifacts, to interventions in real-life industrial projects operating under real deadlines and budgetary constraints. 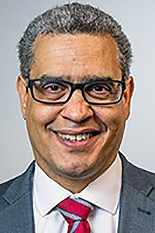 Porter is the executive and scientific director of the Fraunhofer Center for Experimental Software Engineering (Fraunhofer CESE) at the University of Maryland. Fraunhofer CESE applies research to develop innovative, effective, and scalable approaches to software and systems engineering; deliver powerful model-based development, testing and verification strategies and tools; and support state-of-the-art measurement and analysis methods. Fraunhofer CESE researches software problems and provides software services and solutions to solve them, backed by research, best practices, expertise, foundational knowledge, and validation. Areas of expertise include: software systems modeling and simulation; cybersecurity and safety analysis; process analytics; project and program management; software development; software testing, verification, and validation; and data mining. Government clients include the National Aeronautics and Space Administration, KeyMind, the U.S. Department of Defense, the National Science Foundation, the Food and Drug Administration and the National Institutes of Health. Fraunhofer CESE works with medical device manufacturers, industrial equipment, health care providers, automobile manufacturers, manufacturing institutes, software and hardware corporations, and MITRE. It maintains direct links to Maryland’s Department of Computer Science and multiple units within the Clark School of Engineering, as well as the Center for Health Information Decision Systems and the National Foreign Language Center.